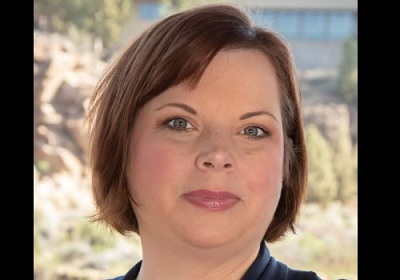 BEND, OR -- The third party candidate who launched a late campaign for Bend’s House District 54, has dropped out of the race, Wednesday, following accusations she lied about her college education in information submitted for the voters' pamphlet. The Working Families Party says they support Amanda La Bell’s decision, "A candidate must have the full trust of their community to lead effectively. We are supportive of Amanda in putting the needs of her community first by suspending her campaign." Just two days ago, La Bell issued a statement acknowledging the incorrect information but said she was committed to the people of Bend and her campaign. La Bell, an admitted Democrat, entered the race on the third-party ticket after Nathan Boddie, the Democratic nominee, refused to step aside amid groping allegations. Party leadership issued a statement Wednesday, saying, "The Oregon Working Families Party stepped into this race at the request of Bend community members who were left without an opportunity to vote for a candidate they believed in. Before nominating Amanda, we subjected her to the full vetting process that all candidates receive before they are nominated. Unfortunately, she was not fully forthcoming in this process and neglected to share the information that was released to the public this week." La Bell refused KBND News' request for comment. Because it's past the filing deadline, La Bell's name will still appear on the November ballot and in the voters guide, alongside Boddie and Republican Cherie Helt.